This light grey cropped jumper from the Nike Tech Fleece Aeroloft Collection 2015 comes especially for women. 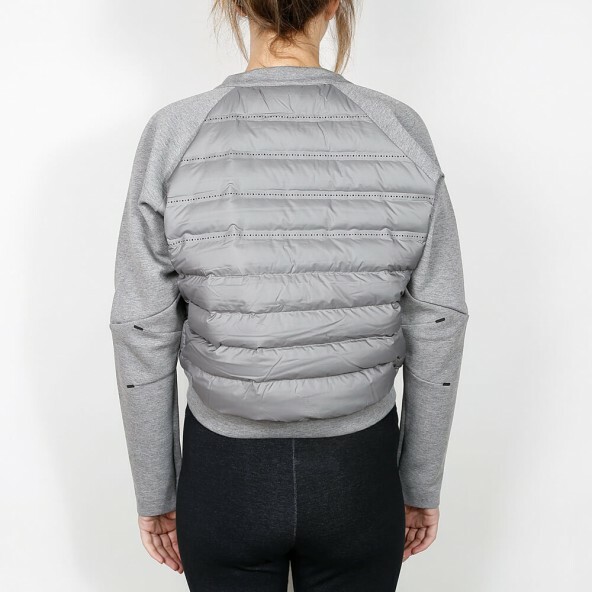 Whereas the front is made of innovative, warming and light Tech Fleece, there is an extra layer of down on the back that not just keeps you warm, but is also breathable due to its perforated down chambers. With the help of the vertical front zippers at the seam the jumper can be varied in its fitting.